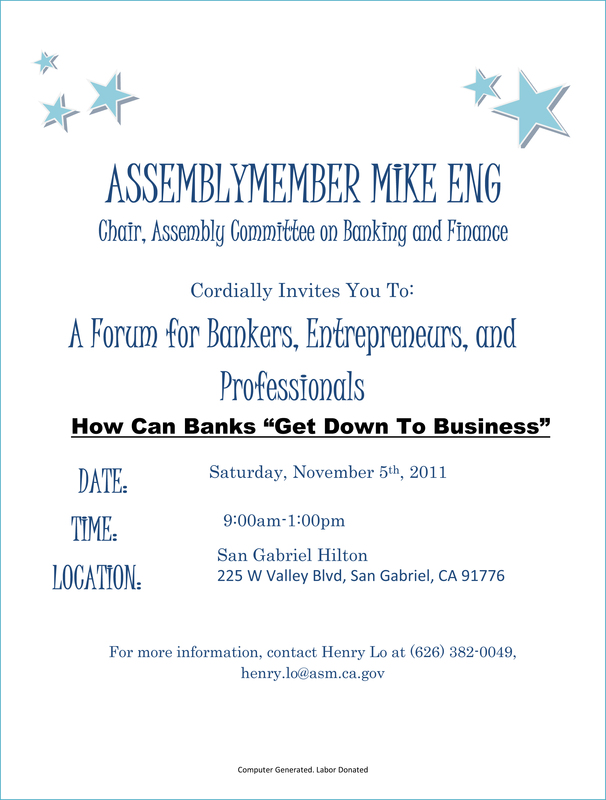 Posted on October 5, 2011, in Assembly Member Mike Eng, Banks and tagged Assembly member Mike Eng, San Gabriel Hilton. Bookmark the permalink. Leave a comment.